The real-estate developer in Canada is the person who buys land and/or buildings to set up real-estate projects and then renovate or build anew and then sell at a profit. The person who just buys, waits, takes care of the management and resells without realizing a construction project is rather called a speculator or a real-estate investor. Although to become a real-estate developer in Canada it is not necessary to take courses or obtain a certification it is recommended to be well-informed on all aspects of construction and real-estate both from the point of view of legal matters, codes and standards of construction, urbanization, labor, supply and demand in real-estate, marketing, market value, assessment of buildings and land, as of many other points. 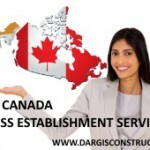 Construction Daniel Dargis Inc. is the only construction company in Quebec, Canada, led by Mr. Daniel Dargis, Engineer, to act as an advisor for the foreign real-estate developer who wants to settle in Canada and realize a residential or commercial project. We must differentiate the real-estate developer in Canada and the general construction contractor. A real-estate developer in Canada may also be a general construction contractor or hire a contractor to do the work. Unlike the trade of a real-estate developer in Quebec, to be a general or specialty contractor, it is required to obtain an RBQ license from the Régie du Bâtiment du Québec which is a Government agency. This license is obtained by passing certain tests or by engaging a shareholder, called a “sponsor” in the construction company. The real-estate developer, in many cases, will benefit from holding his own RBQ license in order to enjoy more autonomy and increase profits by building the project himself. However, this comes at the cost of having a good understanding of all aspects of construction. Construction Daniel Dargis Inc. recommends that the new real-estate developer in Canada learns about the world of construction in Quebec, Canada, by purchasing a first plot of land and calling upon a general contractor for construction. Nevertheless, it is necessary to be well-advised for the purchase of land and buildings and for the mounting of the project. Construction Daniel Dargis Inc. is the only construction company in Quebec, Canada, to act as a consultant of the new real-estate developer to find a first stretch of land, do the mounting of the project with sketches, plans, costs and feasibility and market study and then give the real-estate developer the option to build his next project following 5 programs. Under the recommendations of Construction Daniel Dargis Inc. which acts as advisor and negotiator for the purchase of land and building for the future real-estate developer, the latter will learn how it is possible to invest a minimum and minimize the risks and increase the revenues of the project by putting in a minimum amount of funds. A real-estate developer in Quebec, Canada, knows that, before buying land or a building, gathering much information is needed as much from the legal point of view and marketing as for construction. The Province of Quebec is one of the best places for the new real-estate developer who wants to realize a first project. Land and buildings are 2 to 3 times cheaper than in other Canadian cities such as Vancouver, Calgary or Toronto. With minimum capital a new promoter can purchase large lots and build many projects. As a new real-estate developer in Canada you first seek the right information to buy land to build a first real-estate project of a house, condo building or commercial dwelling. Construction Daniel Dargis Inc. acts as an expert and advisor to help you sponsor not only to buy land in Canada but also giving you the means by which it will be possible to become, now or later, yourself a developer and general contractor and build the project yourself.